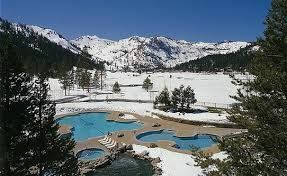 7 nights (Sat-Sat) in The Resort at Squaw Creek. Listed price includes double occupancy in Deluxe rooms with one King or two Queen beds, 5-day (adult) lift ticket, and RT air from Washington Dulles (IAD) to Reno on Southwest (no bag fees - details below). We'll also be treated to a welcoming Champagne toast upon our arrival, and we've included a buffet breakfast our first morning. 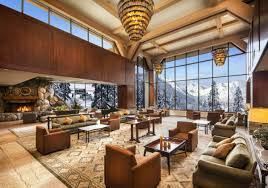 The Resort at Squaw Creek offers luxurious Lake Tahoe accommodations with grand picture windows that reveal sweeping views of the Sierra Nevada mountain range, ancient Ponderosa pine forests, and lush meadows. To complement the spectacular Lake Tahoe outdoor environment, each room and suite presents muted tones and rich textures, which create an inviting ambiance that helps you feel at home here in Squaw Valley. Our Deluxe rooms, which offer gorgeous views of the peaks and forests of Squaw Valley, feature custom furnishings, slate entryways, ceramic-tiled bathrooms, and granite vanities. Amenities include robes, hair dryers, iron and ironing board, LED flat-screen TVs, mini-refrigerators and coffee makers. Add $973 for the single supplement if you want a room to yourself. Non-skiers, IkonPass holders, and 80+ seniors (who ski free!) save $378 on the package without lift tickets. Modest discounts, selected when you register, are available for seniors age 65-79.